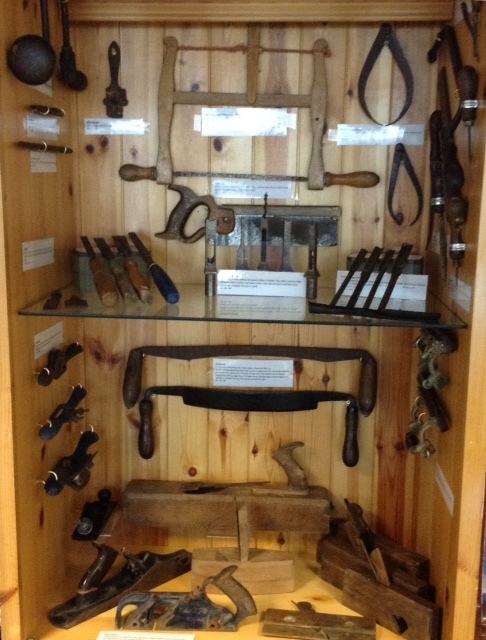 Why not pop into the museum and view the the new display of tools used by ship and boat builders in years gone by. 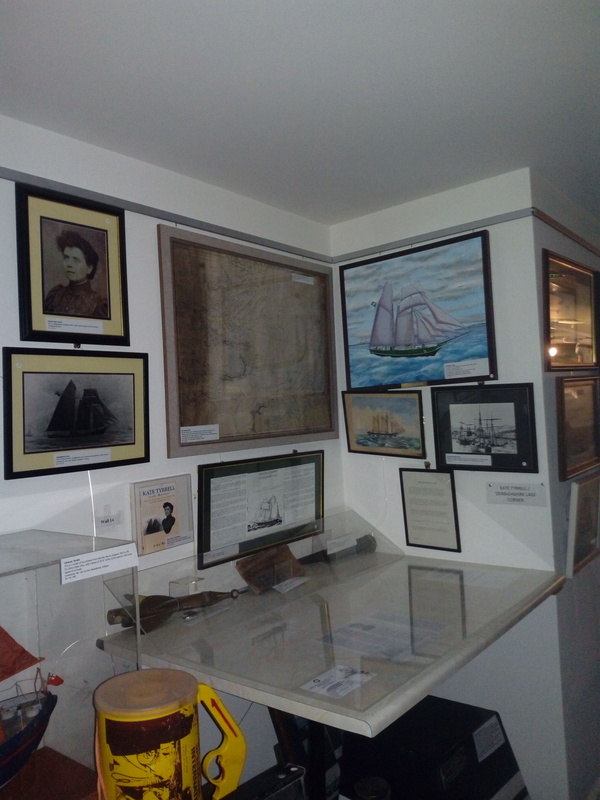 Today is International Women’s Day and to mark it we here in the Arklow Maritime Museum would like to mention the most famous Arklow female mariner Kate Tyrrell. We have spoken about this remarkable woman many times before but today she garners a special mention. Inheriting a shipping company from her father, she captained the schooner Denbighshire Lass for over twenty years, and successfully fought rules forbidding women from having their name listed as the owner of a vessel. We have a whole corner with various items all relating to Kate in the museum. All of the items were donated by John Mahon. We have updated the Arklow Shipping Ltd. display at the museum with new information and photographs. Arklow Shipping Ltd. are making history on a daily basis and we are delighted to show visitors to the museum the history of Arklow's maritime affairs as well as modern history as it is being made. So why not drop in and see for yourself, we are open 7 days-a-week from 10.00am to 5.00pm daily. 2018 saw record numbers come visit us here at Arklow Maritime Museum, surpassing our previous record year of 2017. Pictured are the Arklow Sea Scouts, who booked a group tour before Christmas, and left with a wealth of knowledge after been ably educated by our staff members Jim Rees, Peter Kinsella, William Breslin and Brian Carty. 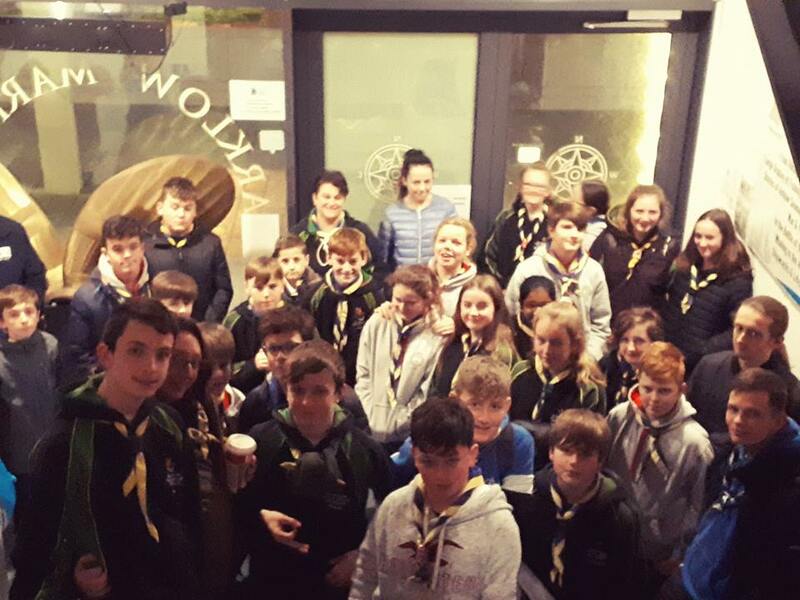 The Knocklyon Sea Scouts were another scouting group that came from further afield, while we also welcomed local organisations such as Glenart College and Sunbeam House Sevices among others. A roll-call of some of the home countries of our international visitors last year include far away outposts such as South Africa, New Zealand, Australia and the US, and some of our European compatriots like France, the Netherlands and Switzerland. It really hammers home the fact that the maritime community is truly global. What about the year ahead? Well, 2019 marks the tenth anniversary of our relaunch in the Bridegwater Shopping Centre, with the occasion been celebrated in August. The museum continues to grow exponentially and that growth will lead us into an exciting future, with attendance records set to be broken again. 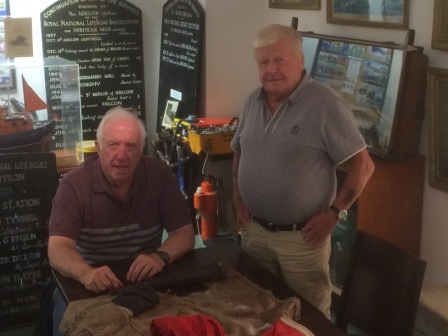 Many thanks to John Mahon of Oaklands for donating a set of signal flags and a fid to the museum. John presented the items to Captain Danny O'Neill on Friday the 14th July 2017. The flags and fid donated were used on the Arklow schooner "Dembighsire Lass" which was owned by Johns grandmother Kate Tyrrell. Sunday the 7th of May 2017 saw the 102nd year anniversary of the sinking of the Lusitania. To mark the occasion, a memorial garden complete with a 20 metre bronze sculpture was unveiled at Old Head of Kinsale to honour the victims of one of the worst maritime disasters off the Irish coast. It might surprise people to know that two Arklow boats and their crews were involved in the rescue of survivors from the torpedo attack which sank the Lusitania off Kinsale in 1915. Every year the Arklow fishing fleet could be found in west Cork for the mackerel season from March to the beginning of June. On 7 May 1915, the Lusitaniawas on the last stretch of her voyage from New York when she was sunk by the German submarine U-20. Skippers James Hagan of the Dan O'Connell and Edward White of the Elizabethimmediately went to the aid of the men, women and children in the water. There is a display in the museum to commemorate their selfless, heroic acts. With over 2000 exhibits that include ships models, paintings and artifacts from Arklows past we'd love to invite any and all that would like to attend. Grab a camera, come down to the museum and take some photos and you could win a fabulous prize kindly donated by our sponsors and various businesses around the town. There are three categories based on age, the kids (0-10 years old), teenagers (11-17 years old) and the adults (18 + years) so people of all ages are invited to attend and show off their photography skills. The Maritime Museum continues to grow and improve year after year, and we are delighted to announce that in 2017 we will be launching our monthly newsletter service. This will allow supporters of the museum to stay up to date on all the big events we have planned for the future, recent success the museum has enjoyed and of course our famous maritime trivia and interesting anecdotes. We hope to give everyone a behind the scenes view of what goes on at the museum and give us a new way to connect with our community that has done so much to support us over the last forty years. We do hope that this will be a welcome addition to your inbox and encourage you to subscribe here. Today marked the unveiling of the latest Arklow historical information board, this time on the Tyrrell & Sons boatyard. Opened in 1864, the boatyard quickly gained an international reputation for building innovative vessels such as the Ovoca (the first motorised fishing boat in these islands), the hybrid schooners JT&S and Invermore , Gypsy Moth III (the winner of the first trans-Atlantic single-handed yacht race) and, of course, our sadly missed national sail training vessel Asgard II. The unveiling of the information board took place today at South Quay, Arklow. Present were representatives of the Arklow Maritime Museum, previous workers from the boatyard and members of the Tyrrell family. 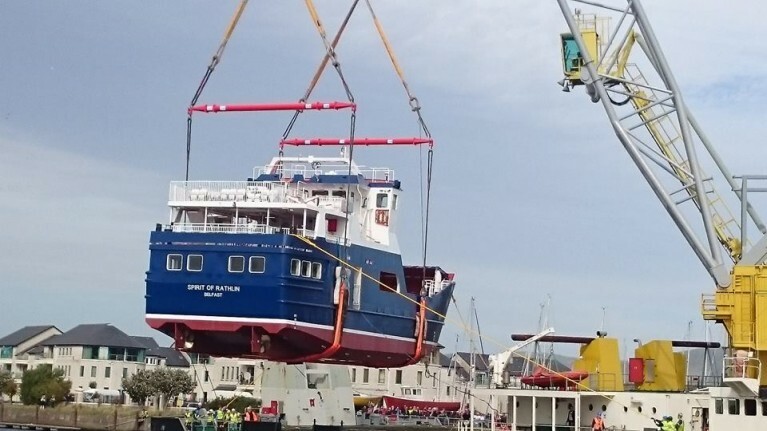 This launch of the 'Spirit of Rathlin' and proves that Arklow's maritime heritage is not all in the past or confined to glass cases in our museum. 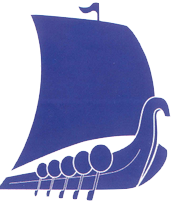 Arklow Marine Services is run by the fourth and fifth generations of the Tyrrell boat building family. Arklow people are understandably very proud of their achievements. Well done to all concerned. A visitor from Melbourne, Mark Canterbury, called into the museum on Friday morning, looking for information on his grandfather Pat Canterbury who left Arklow for Australia many decades ago. One of Mark's abiding memories of his grandfather was the pipe he smoked, complete with metal cap. The pipe vanished from the Melbourn home years ago. We showed Mark a similar one, typical of the kind used by Arklow fishermen, in one of the cases. It turned out to be Pat Canterbury's pipe!! 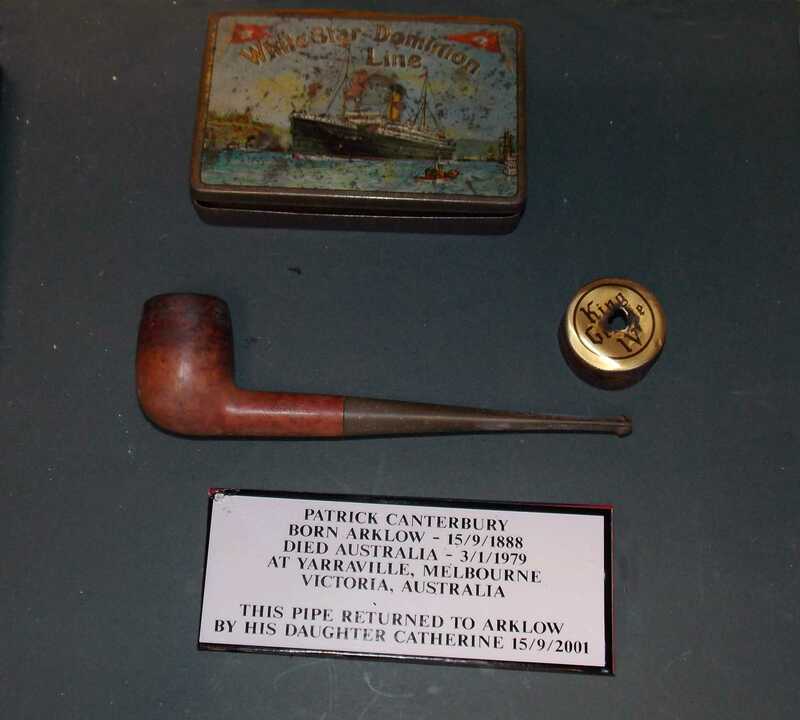 Apparently, Pat's daughter Catherine visited the museum in 2001 and donated her father's pipe. Mark knew nothing of his aunt Catherine's donation and had assumed that it had simply been lost over the years. When we took the pipe from the case for Mark to handle, he could still get the smell of the smoke he remembered so well from his childhood. 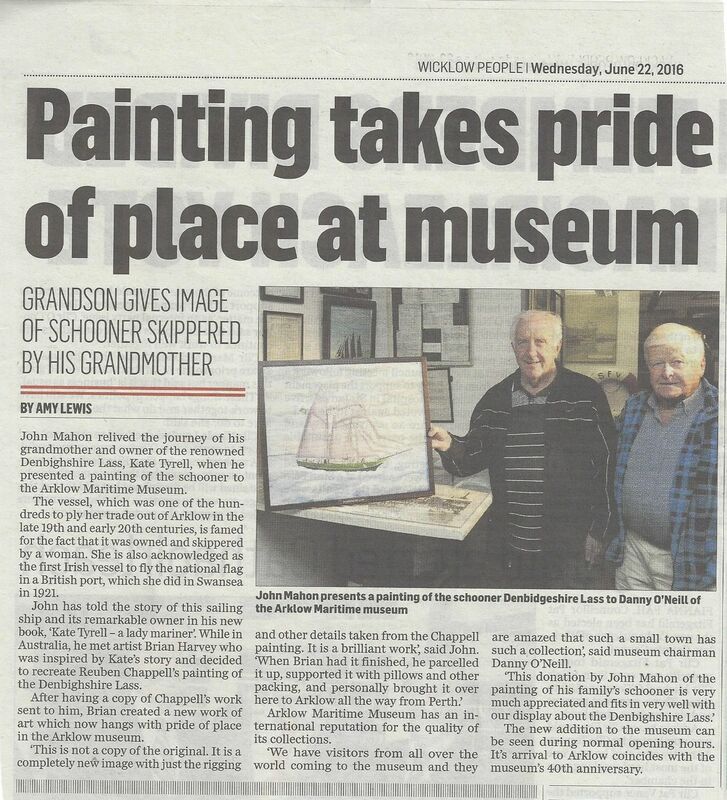 Just one of the magic moments that makes the work of Arklow Maritime Museum so important. Call in and see us at the Bridgewater Centre open seven days a week, 10-5. One of the hundreds of sailing ships to ply her trade out of Arklow in the late 19th and early 20th centuries was the Denbighshire Lass. This schooner has two claims to fame. The first is the fact that she was owned by, and often skippered by, a woman - Kate Tyrrell. The second is, she is acknowledged as the first Irish vessel to fly the national flag in a British port, which she did in Swansea in 1921.